I didn’t become the mom I am when my husband and I decided to start a family. Like most people, God had been shaping my life for motherhood before I even knew it. It began when I was in preschool. I didn’t know it at the time, but I was sick. I’m not certain exactly when it happened because I was so little, but some of my earliest memories are painful ones. The problem with pain, though, is that you don’t realize it’s pain when you’ve only ever been in pain. When I was 17, I spent a an unforgettable summer on a mission trip with some wonderful friends from my church youth group. I knew then I wanted to be a missionary. The warm air in that impoverished Caribbean nation made me feel so good and I felt like I was exactly where I was supposed to be, doing what God wanted. It was humbling and exhilarating all at the same time to have the opportunity to daily share Christ with the kids I worked with. And though it was also hard, I loved being completely dependent on God. He daily gave me strength. I didn’t want to lose the closeness I had with God or the purpose that I felt on that trip, so when I came home, I made one of the most pivotal decisions of my entire life, although I didn’t know it at the time. I prayed that God would continue to keep me completely dependent on Him. God isn’t safe. He’s good, but His ways aren’t our ways. I had no idea that only three weeks later, the pain that I had felt my whole life would become excruciatingly unbearable. I went from being an athlete to barely being able to walk. It was so bad, I had to crawl up stairs and it hurt even to be touched. If someone just accidentally bumped into me, I was reduced to tears. The summer ended and I began my senior year of high school, but everything had changed. I needed all the support I could get, so gone were my plans to attend college out of state and when I lost my voice, my dreams to major in music also ended. I realized I wasn’t healthy enough to go live overseas anymore so I couldn’t go into missions, either. I was devastated. And, to make it even worse, I still didn’t have a diagnosis. I was so scared because pain like that usually means something bad. Really bad. It took a year before I was finally diagnosed with fibromyalgia; a chronic illness that has to do with overactive nerves and causes miserable pain. There is no cure for it and my case was severe, yet, I was relieved knowing that it wouldn’t take my life like some of the others diseases that were being considered. Still, I felt so hopeless and lost in darkness. Didn’t God understand that all I wanted to do was to serve Him? I felt like He took my ability to do that, but truly, I had the complete dependence I had asked for. It took me a few years before I could understand the point of all my failed dreams. God wanted to teach me something first. I learned how to manage my illness and got it under control so I could live pretty normally despite being in constant pain. I met and married my husband, Brian, finished college with a degree in psychology, and we started a family. When Jackson was born, everything changed. I fell in love with being a mom of three boys. God started showing me how wrong I was to think that my plan might have been better than His. I couldn’t have been happier being mom to my Monkey, Gremlin, and Trouble, respectively. And I love that we laugh. A lot. There was the time that Ethan colored himself and Luke completely with a blue marker in three minutes while I was on the phone. Later,when Luke was a toddler, he drank day-old cold, black coffee, straight from the coffee pot when my back was turned. And once, at two years-old, Jackson snuck out of bed in the middle of the night and we found him watching The Chronicles of Narnia with the sound turned all the way down and the subtitles on. Yup. All we can do is laugh! Still, my heart ached. I didn’t feel done with our family. Brian and I lost a precious baby between Luke and Jackson and I found myself wishing that I could make some difference. I’ve always had a desire to adopt, but it never worked out. The doors just kept closing until, one day, one door stayed open. Foster care. It wasn’t what I planned. It was messy, complicated even, but the need was great. I brought it up to Brian and he was immediately in. I know it makes no sense to do this. I was only 29 years old when we started the process. We have our three boys, live in a house with only three bedrooms, and I’m sick. There were so many reasons to not do it, but God put it on my heart. The desire wouldn’t go away and when God asks you to do something, you can’t say no. Right now, I’m a mom to four. We are on our second placement with a precious infant foster daughter. God gave me my girl. I might not get to keep her, but that is okay; God is bigger than the pain of goodbyes. If there is one thing I learned from my miscarriage, it is that I am going to make the most with all the time I am given with my kids, biological or not. They are all my kids. I’ve also realized that I don’t want to be normal. My boys are amazing; they love their foster sister and are incredibly compassionate. They’ve seen so much pain as they’ve watch me struggle with illness and they want to take care of their foster sister since they understand she has lost her biological family. They are so empathetic and are learning to serve God sacrificially even at the tender ages of 8, 6, and 2. It occurred to me once as I walked into the social services building that I actually am on the mission field. I may not have been able to go overseas, but God brought the mission field to me. The psychology degree I hadn’t planned on getting was exactly what I needed. And I might not be using my voice to sing, but I’m using it to tell others about God. As a foster parent, I get to work with these precious, hurting birth parents and make a difference. Because of my pain and chronic illness, I am open with them about how I don’t have it all together. They know I understand and so they listen to me. I never expected my pain to be so important. Being a mom is so much more than simply taking care of kids, making PB&Js for lunch and reading bedtime stories. Being a mom means giving of ourselves in ways that we never expected and serving God even when it doesn’t make sense. My journey wasn’t what I had planned, but it was what God planned and His plans have proved far better than mine ever could. S.L. Payne, a Southern Californian transplanted to the South, lives with her husband, three biological sons and foster daughter. She is thankful for God’s faithfulness in her illness as God has used to it help her see Him in everything; the three boys have supplied the humor! She loves writing, photography and laughing with her family. She writes at Rest Ministries and on her website, www.uncommongrace.net, where she hopes she can encourage others to live in grace. You can follow her on Twitter @saralynnpayne. “I never expected my pain to be so important.” … I just love that pearl in the middle of your post. It’s so beautiful what God can do with our stories. ALL of our stories. Even the pain. Sometimes, especially the pain. Your story matters so very much and was incredibly encouraging to me today. Thank you for linking at Unforced Rhythms. Thank you so much, Julia! But, truly, I feel like I am the blessed one! Coming through all of this to be used by God in such an incredible, albeit difficult, way is so humbling! I love how you were able to share the ‘full’ story, from start to almost finish… since He is still writing the story, right. You should read Isaiah 54 sometime and be encouraged.. more will be the spiritual children he is sending to you. 🙂 I enjoyed my visit but especially the title and the purpose. It is a beautiful thing when we realize our mission as mothers is to imitate His love to others and to enjoy it. This is a beautiful post! Thank you for sharing this with us! Oh, sweet sister, how I can relate! Although our past pain end experiences look somewhat different, I feel as though we are kindreds in many of the things He has been teaching and revealing to us. Thank you for sharing your story! I am always amazed to see how God works in every situation, big and small, and He has clearly done a big work in yours. Your family is absolutely beautiful! Praise God for the gift of children! I came by your blog- absolutely loved it! Yes, we do have a lot of similarities! I wrote a post about the baby we lost that you might like too- it is at http://uncommongrace.net/2014/05/19/its-better-this-way/ . I’d love to connect more with you too! Thanks for sharing your story! I too am a foster mom, and can so relate to all you wrote! I have often thought of foster care as our families mission field. Thanks again! Thanks again for dropping by and have a blessed week! I am learning this, too as a step-mom: “Being a mom means giving of ourselves in ways that we never expected and serving God even when it doesn’t make sense.” In some ways, I didn’t know the depth of loving someone unconditionally until I became a step-mom. I am still learning the depth of that kind of love, in fact. Thanks for your story. Amen! If you would ever be interested in sharing your story of being a stepmom, I would love to hear it and possibly post it here. Email me at wynterkaiser@gmail.com if you want more info. And thank you for for visiting M2M! Thank you for sharing your story. I love how God works through our pain and shows us so much of who He is in the process. Thank you for sharing at the wonderful Wednesday blog hop today. Thanks for visiting M2M and thank you for hosting the WWBH each week. I look forward to participating and reading the other great posts every week! SO so beautiful! 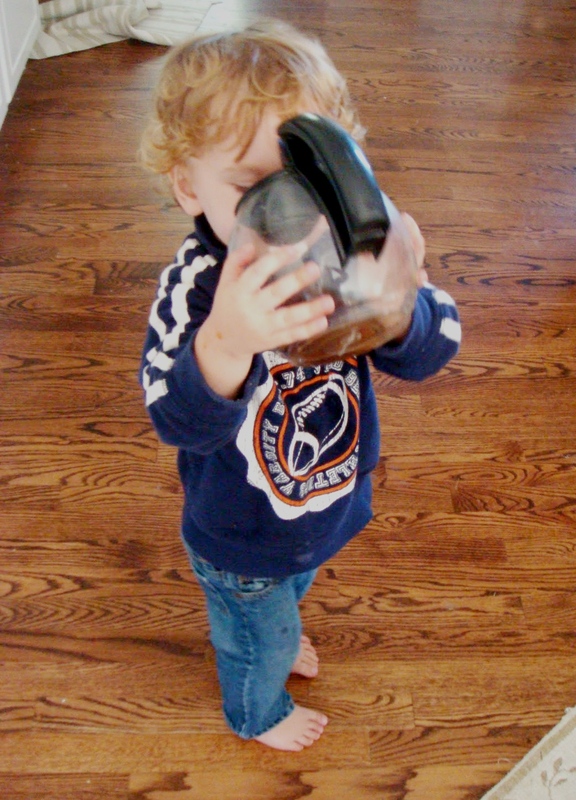 You made me laugh and cry (toddler drinking coffee – omg – my 1.5 year olds dream beverage!). I’m so happy you have your foster daughter – it sounds like you are a great family and will love her SO much! I’m glad you enjoyed this and I hope you will come back each week to read more real stories of motherhood from REAL moms! Thanks so much, Madaline! It sounds like our kids would be friends! I seriously can’t believe all the things they do- it gives me a lot of material for my blog 😉 Hence my camera is usually sitting out for those instances… I feel so blessed to have our foster daughter too. She is the most precious little thing and we adore her! I really appreciate your encouragement! What a great post. Thanks for sharing. You are such a hero and blessing to the kids you foster. Thank you for stopping by M2M today! Isn’t it true that God’s plans are so different than what we would choose, but eventually so much better for us. I have had some similar experiences, and I felt I sometimes railed against the heavens asking for my way, but God knew what I needed (better than what I wanted). I am so grateful for Him and that He loves me. Thanks for sharing your story. Beautiful. Love those little ones! They are so darling. “But God know what I needed better than what I wanted” Such truth! Thank you for visiting M2M today and for your inspiring words! You are so right! I love how you put it too that God knew better. I feel like this whole journey has been about my humility and learning to just trust Him even when I don’t understand. Clearly, He has a plan and it is often more than we could even imagine, and that is just what we get to see of it. Thank you for your encouragement! Needless to say, before the visit was over, I had a talk with both of them. I asked her to count to 10 before responding to my challenging child. I asked him to obey our hostess and not repeat bad words. The rest of the visit was without major incident. What a fantastic story! And what a joy it must have been for you to hear him answer anger and malice with Truth! Thank you for sharing and thank you for dropping by M2M today. Have a blessed week! Patti, that is an amazing story- you are making such a difference for those kids! I have to admit that it bothers me that a lot of society labels foster kids as trouble when their behavior is often just a result of all the trauma they have been through. That is absolutely incredible to be able to stand up for himself like that coming from that kind of neglect! Wow, you have had quite the journey! How remarkable to see how the Lord has carried you through the plans He had set for your life. His ways are truly not our ways. I am inspired by your story, thank you so much for sharing this post on Wined Down Wednesday! I am now following you and looking forward to getting to know you more! Thank you! Here at M2M, I share a new, diverse story of motherhood each week and sometimes mix in an original post of mine, a guest blog post or LinkUp every now and then. Thanks for hosting the WDW, I look forward to participating and reading the other great posts each week. And I hope you’ll come back here often, as well! Hi Cathy, I’m glad you came over! I love Wynter’s site 🙂 I feel so honored to be able to share my story here! All of the other stories are wonderful and it is so inspiring! I’m going to be linking back here in my post on my blog next week because I would love for others to find this site too. I’m a mom of 5 sons – and I so understand what you’re saying. Growing up broken from my parents divorce – when I started my family, I wanted a daughter. 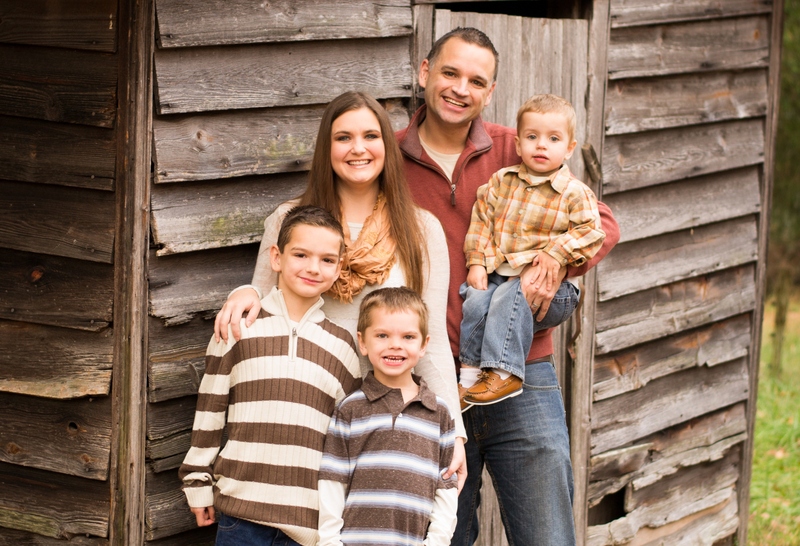 Growing this family of 5 sons has a lot of stories to get where it is – and God told me He wanted me to be whole through Him, not half whole through watching a daughter grow. A mom of sons only has a wonderful opportunity – just like you describe – to become spiritual mothers to girls who need that – and I think our hearts have a special ability to reach like that. You have moved me to tears. I think being a foster parent is one of the most selfless things a person can do. How you’re able to manage it all through the pain your in is amazing. You are a strong, strong woman and a wonderful mother to ALL of your kids. It’s amazing to see how the Lord has guided you and even though at the time you didn’t understand, he guided you to the place you were meant to be. Thanks so much, Pamela! I appreciate all your encouragement! I am so sorry to hear that you have fibro too 🙁 It is no joke. On my site, uncommongrace.net I write a bunch about it and chronic illness and how God works through it and I have a bunch of links to devotionals I’ve written for Rest Ministries, a faith based chronic illness support ministry. I’d love to connect with you there too! I am so glad God could bless you through our story! Our current foster daughter (we had another little girl who was with us for a couple months and then returned home) I know is supposed to be with us. She has some health issues that the social workers weren’t aware of at the time, but God was and He provided. We’ve had experience caring for some for some of these issues and it has been such an amazing fit. We got her at one month and have had her for eight months so far. We’d appreciate prayers for her situation! Thank you again, Pamela! Thank you so much for sharing this. I have been graced with C.F.S, and have had a week of knowing that God has given me this pain for a reason, but really struggling to see the reason – this has helped so much, it’s given me the strength and encouragement I needed to carry on blindly, but faithfully, for a little longer. Amen! Grace and peace to you, dear sister! What a great reminder that God’s plan is better than our plan (even when we don’t agree)! Thanks for sharing this touching story. It’s so hard, but we all have to learn to embrace God’s plan for our lives, even when it differs from our own plan. I ran into unexpected fertility issues after the birth of my second child. We tried to adopt (through the foster system), but things ended up falling through. It took me 17 long years of heartbreak and railing at God to accept that he had said “no” to more children for a reason. Interesting, my passion for adoption has been passed on to my 20-something daughter, and my agony over infertility has given me a heart for others walking that path. I am in the process of writing a memoir about those years. So, in everything, God has a purpose, and he works for good. Oh, if I had only remembered that when the infertility first began. What an amazing story! Thank you for stopping by M2M and if you are ever interested in sharing more here, I would love to feature you. Just email me at wynterkaiser@gmail.com and we can talk some more! Thanks for the share at the #WWDParty. I love what you said about God not being safe, but good. That’s so true. There is risk in serving Him, especially when things don’t turn out as we had hoped or planned. Thank you for sharing your story at The Weekend Brew! Such a heart touching story… Thank you for sharing from your heart! Would love for you to share this at our link up party on my blog please 🙂 Hope you have a great week! That was such a thoughtful and inspiring post! Thanks for sharing! What a beautiful story! Thanks for sharing at our Motivational Monday party!